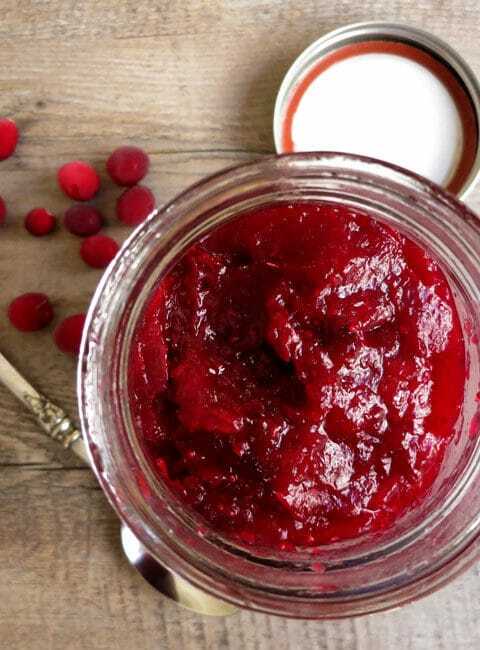 This cranberry orange jam will become a Thanksgiving staple in your home. So easy to make but full of flavor – perfect to give as a hostess gift and for all those delicious sandwiches the next day! 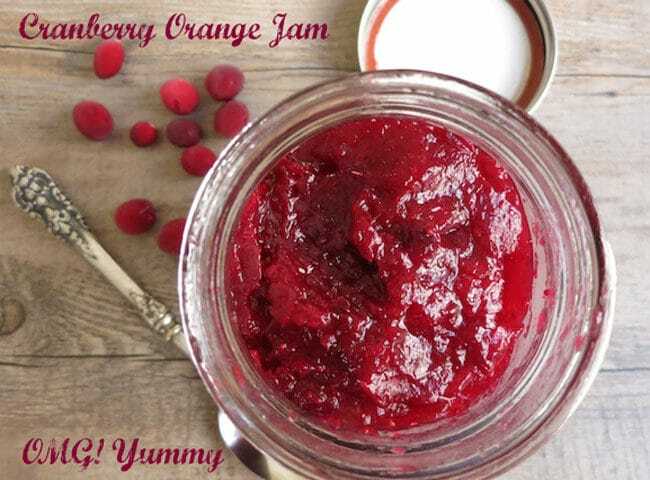 With the gift giving season upon us, this cranberry orange jam serves as a simple but sumptuous host/hostess gift or wonderful side dish for your holiday buffet. When I first prepared this jam, I looked up several recipes and as usual, reduced the sugar a bit and added my “secret” Mexican orange liqueur called 43. Any orange liqueur will do or none at all is ok as well. You thicken the jam with the natural pectin from a shredded apple. Shredding that apple is the most time-consuming part of this refrigerator jam recipe – it’s so easy! Cranberry Jam with Orange is naturally thickened with the grated apple. The jam is outstanding as a spread on a turkey sandwich, a tangy tart addition to a holiday brunch buffet, or a wonderful surprise bite inside a mini corn muffin. 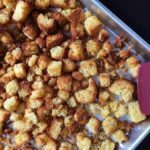 Use any cornbread recipe, fill each muffin tin halfway, add a dab of the jam and fill the rest of the way. Bake as usual. Doesn’t that sound yummy? Rinse off your cranberries and put them in your medium saucepan. Zest and juice the orange and add them to the cranberries in the pan. Give it all a mix and bring it to a boil on medium high. Once boiling, turn it down to medium or medium low. Keep it at a low boil and you’ll hear the cranberries start to pop. About 10 minutes in, add in your orange liqueur if using it. This is also a good time to take a masher and squish some of the berries further. I leave lots of texture but like to smooth it out a bit. At about 15 minutes in, I turn it off, let it cool for a bit, then put it in jars and refrigerate. Remember this is not a recipe for canning. Just refrigerate or even freeze the jam for later use. 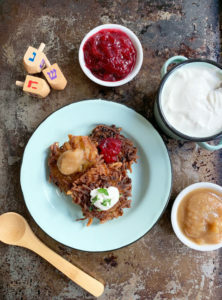 Top your potato latkes with cranberry jam, instead of just apple sauce or sour cream. Really – it’s fantastic! Make Cranberry Crostini or serve the cranberry jam with goat cheese and crackers. Prepare a cheese and charcuterie platter using cranberry jam as one of the spreads. This ruby red cranberry jam is a perfect hostess gift, sandwich spread and so much more! Put all ingredients, except liqueur, in a medium saucepan on medium heat – bring to a boil, then keep at a low boil for about 15 minutes. Intermittently, you’ll hear the cranberries popping. Mix often to check for thickening. If cranberries have not all popped and it’s getting too thick, add a bit more water or orange juice. Taste for sweetness and flavor at about 10 minutes, and if desired, add in the orange liqueur. Cook for another 5 minutes, take off heat and use a wooden spoon or potato masher to break up most of the chunks. Makes about 3.5 cups. Put in jars and refrigerate. 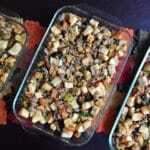 Should last about 2 weeks or you can freeze some for later use. Tastes fantastic on turkey sandwiches. Love the touch of orange through orange liqueur in addition to the orange zest! Really pairs well with the cranberries! Oh that orange liqueur gives it a little bit of unexpected depth – you don’t really know what it is – just pops a bit more in your mouth! How perfect is this? I love adding orange juice and zest to cranberries. It does so much to enhance the flavors! Such a natural combination – I can never really get enough of oranges and cranberries together this time of year. I love learning new recipes for jams. Thank you for this creative recipe. Isn’t it the best when it’s easy but just a little bit different? So many people from young adults to grandmas tell me they make this every year. Hi. Maybe I missed it, but how much does this actually make? Hi – good question! Looks like I left that off! It makes about 3.5 cups. And remember these instructions are for refrigerator jam, not shelf stable canning. Have fun! Just made a batch of this – amazed at how easy it was to put together and how lovely and festive it looks in the jars. What a lovely “hostess gift” to take along to holiday gatherings. Thanks for this lovely recipe! I’m so glad – I make it every year and am always glad I did! Makes me so happy – thx for sharing! I can think of a ton of ways to use this! Looking forward to trying it over the holidays! 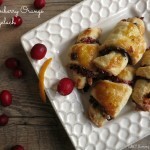 Yup – I make a cranberry orange rugelach with it but oh so many more ways to use it! Thx for stopping by. Do you think this could be preserved using a hot water bath like you would do for jams or jellies? 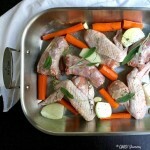 I would like to know if this recipe has been used to can in waster bath also! I don’t know if you saw this response Brenda so I am posting it again: Wow – Brenda – sorry for the delay in responding – for some reason I didn’t get the notice that I had a new comment on this post. So sorry! I am not an expert in preservation unfortunately. I would start with a recipe that is meant to be preserved from someone like Cathy Barrow (Mrs. WheelBarrow’s Kitchen), Marisa McClellan (Food in Jars), or Emily Paster (West of the Loop). Wow – Brenda – sorry for the delay in responding – for some reason I didn’t get the notice that I had a new comment on this post. So sorry! I am not an expert in preservation unfortunately. I would start with a recipe that is meant to be preserved from someone like Cathy Barrow (Mrs. WheelBarrow’s Kitchen), Marisa McClellan (Food in Jars), or Emily Paster (West of the Loop). Sorry for the delay in responding Gayla! – for some reason I didn’t get the notice that I had a new comment on this post. So sorry! I am not an expert in preservation unfortunately. I would start with a recipe that is meant to be preserved from someone like Cathy Barrow (Mrs. WheelBarrow’s Kitchen), Marisa McClellan (Food in Jars), or Emily Paster (West of the Loop). I know amount of sugar and temp of boiling is really important if you plan to preserve. 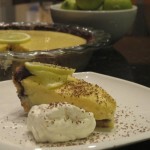 I have used this recipe for 3 holidays now….it has become a family & friend favorite. Yah! That makes me so happy! 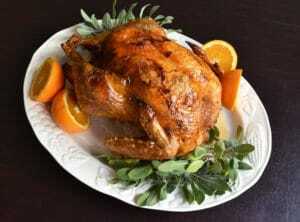 Thanks for sharing and I hope you had a delicious Thanksgiving. 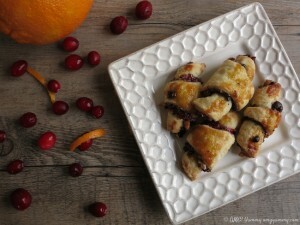 I will be making Cranberry Orange Rugelach using the jam this week. can this recipe be canned? Great question Janell! I am writing to the expert – Cathy Barrow of Mrs. Wheelbarrow’s Kitchen to ask. I suspect that you have to up the sugar to can it but I’ll find out! I’m a sucker for cranberries and get pretty excited when the season is upon us. This looks dynamite. As I was just telling Hannah – it’s wonderful on a cheese tray. I put out quince, citrus marmalade, and cranberry orange with some soft and hard cheeses and the cranberry went first. 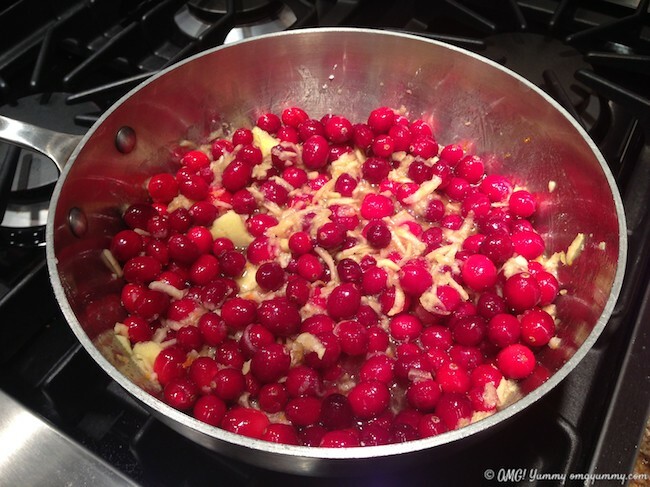 What are your favorite cranberry creations Annelies? Jam-filled cornbread muffins sound incredibly delicious, Beth, especially with your cranberry orange jam. My taste buds are tingling! I didn’t have nearly enough cranberry yumminess at Thanksgiving so I’ll be making some jam soon. Love the festive red color, too! I know right? The color really is lovely and another little tip – it is really good with soft cheeses on your appetizer tray. Yum! It’s still cranberry season at my house too! As with most seasonal produce I hold on until it has vanished from the stores and markets. The festive red berry is a perfect companion for the Christmas holiday. 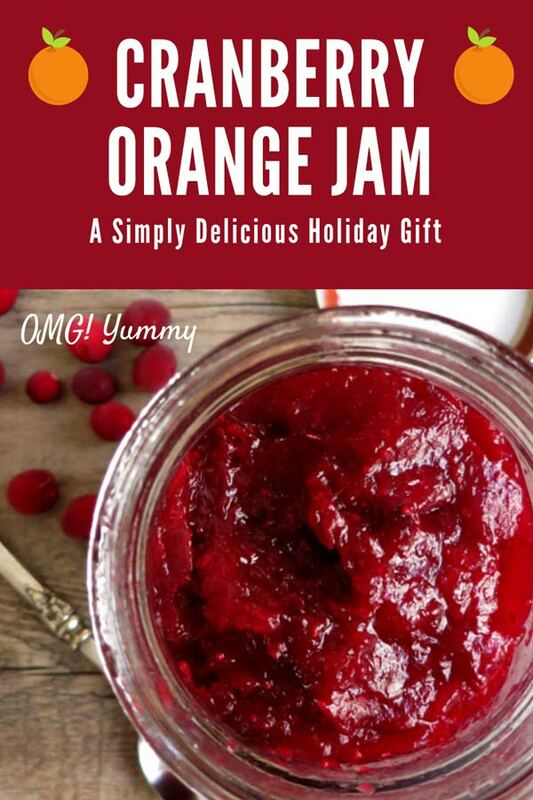 And Cranberry Orange Jam sounds marvelous! As I’m sure you know, cranberries freeze so well. So stock up and you can indulge long after the season is over! Looks great, Beth. I love orange and cranberry together! yes – a magical combination. Thx for stopping by! Had this jam at Thanksgiving and it was oo-la-la!! Oh if only I wasn’t too lazy to try all your great dishes. Let me know if you make it and how it comes out. We loved it – down to the last bite! 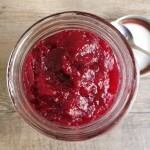 Great minds think alike – just posted my cranberry chutney this morning – LOL. Enjoy the season, Beth. X0 Liz ps Nice that you can freeze this – cranberries live in my freezer most of the year. Why not jam? I hope you have a wonderful season as well – look forward to seeing what else you have in store for posts in December. Your chutneys are wonderful! Absolutely no spam. Just an occasional email to share a yummy post.